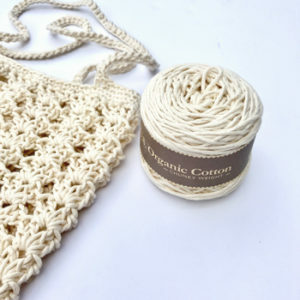 A simple, heirloom or vintage style shoulder wrap for chilly nights or early mornings – while nursing a baby or sipping coffee. 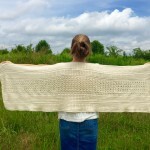 It will be a wrap or shawl that you will find multiple uses for. 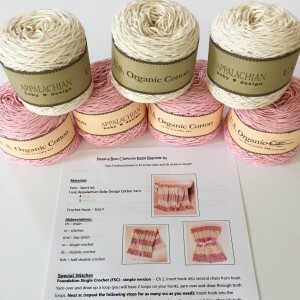 DIY Crochet Pattern Kit for A Mother’s Love Wrap – Crochet Pattern for Mother’s Love Wrap plus 7 skeins of Appalachian Baby Design 100% Organic Cotton Yarn in sport weight. This yarn is made from cotton grown organically in Texas and spun by hand by two women in West Virginia. Definitely USA made and supper light and soft! 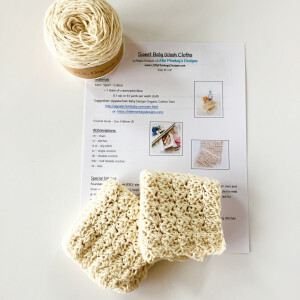 This kit contains the yarn and crochet pattern to crochet the Mother’s Love Wrap in cream, pink, blue, silver, doe, blush or indigo Organic Cotton yarn. Choose your yarn color at purchase. I created this pattern with the new mother in mind. 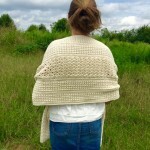 This wrap is perfect for the new mother to wrap around her shoulders to keep the chill off when she is up in the middle of the night (or day!) nursing or rocking her baby. I’ve also used this wrap to cover up a sleeping child. It’s dressy enough to wear out for the evening as well. 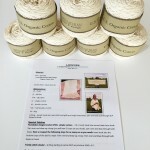 Super soft and light weight when made with Appalachian Baby Design Organic Cotton Yarn or any other sport weight yarn. 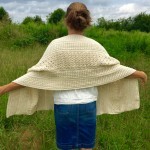 The Mother’s Love Wrap – simple, heirloom or vintage style – 68″ X 17″ with instruction on how to adjust the size. This pattern is simple enough for beginner crocheters but also fun for the more seasoned crocheters as well. You’ll need an F/G Crochet hook. 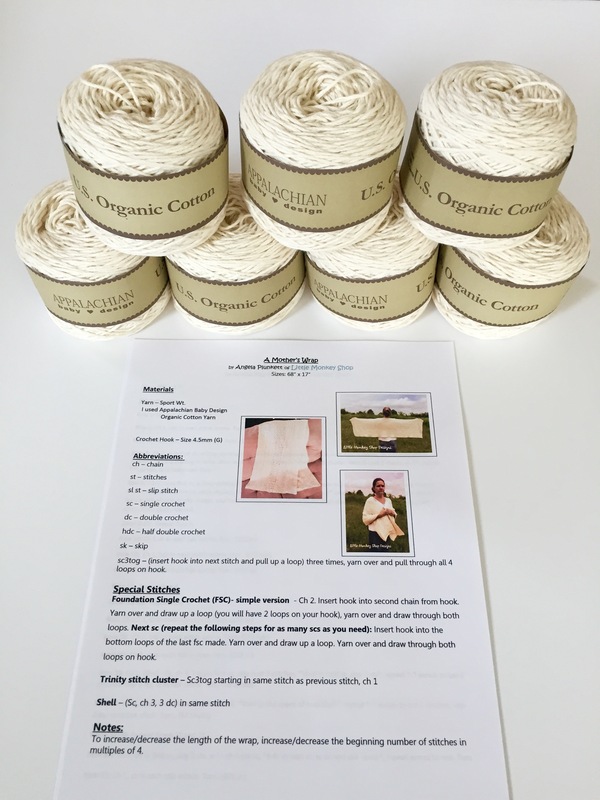 The kit comes with the pattern and the sport weight yarn from Appalachian Baby Design in 100% Organic cotton needed for crocheting the blanket . It is very soft and light!